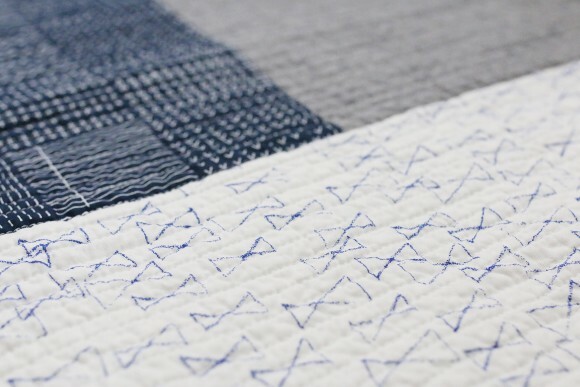 I’ve been getting so many questions lately from people wanting to get into quilting. Where to start, what to do, resources, etc etc. My best advice is to just start sewing! 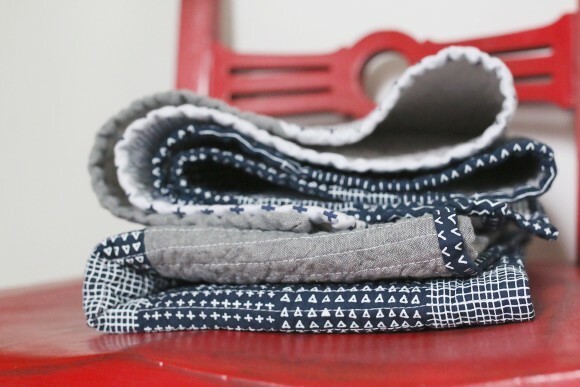 I made my first quilt on a super sale singer sewing machine that cost less than $200. I used fabric I had lying around and asked friends for scraps. 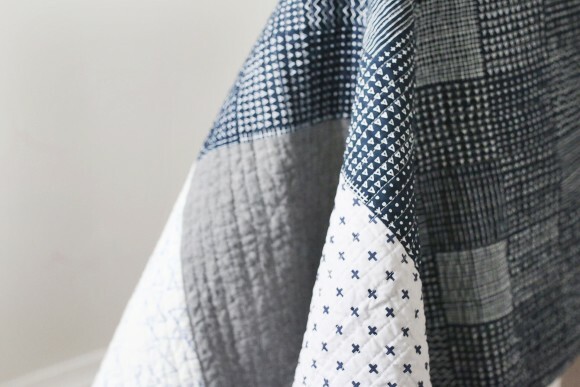 Then I hit Pinterest, found Rita from redpepperquilts.com (my forever favorite quilter) and fell down the rabbit hole of quilting tutorials there and back on Pinterest. Along the way I’ve learned what I like to sew and have built upon that with every quilt so I’m always sewing something I love. 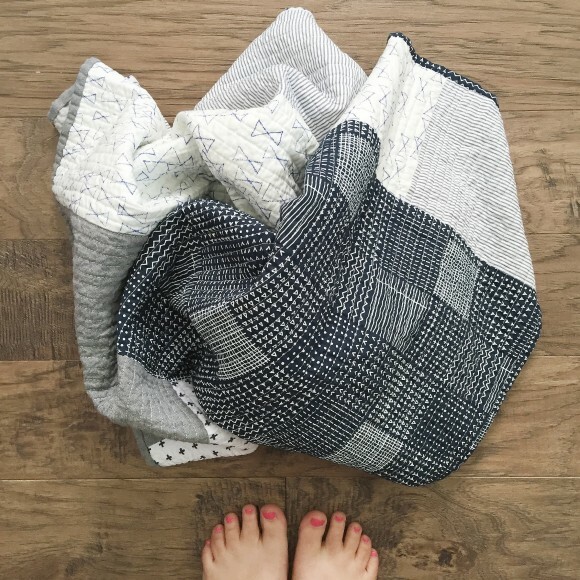 If you are into research and skills, you can check out some of my other quilt posts to learn a few more tricks. This one, this one and this one are good places to start. 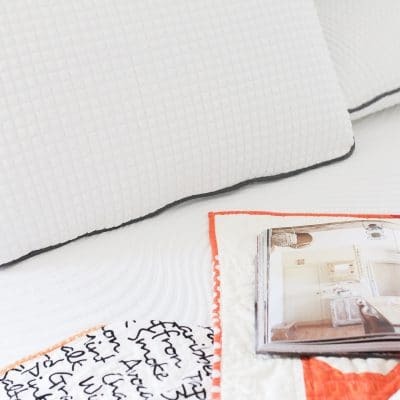 But if you want to just dive in, this quilt will be perfect for you! 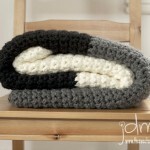 You make it up as you go and just use your fabric to tell you what to do. Here is my very-non-scientific method. 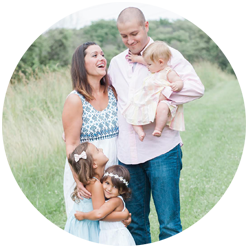 Find me on Instagram @sweetersidemom if you have questions- it’s usually faster and easier for me to answer over there! 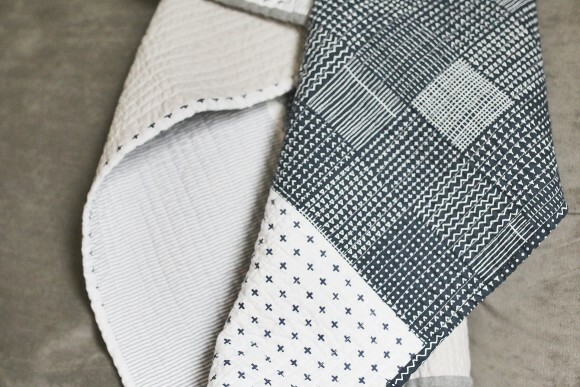 Select fabrics and iron out any creases. 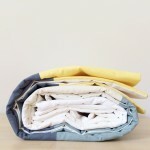 My favorite fabric source these days is fabricbubb.com You see me mention them a lot- it’s not sponsored, I just love their selection and super fast shipping! 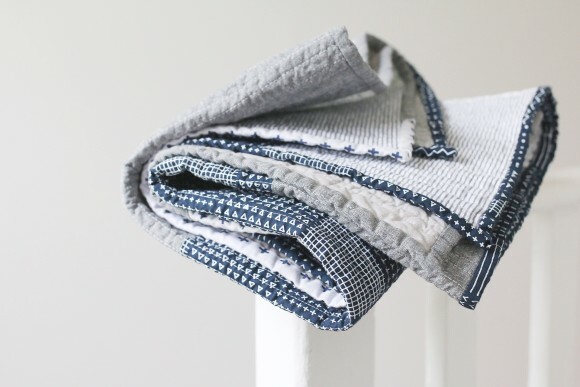 They also have a uniquely great newsletter highlighting various fabric lines and bundles that I have loved exploring. 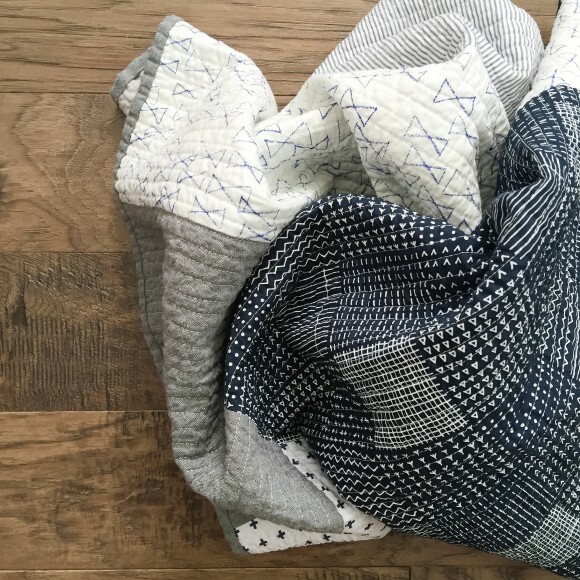 Lay your fabrics on the floor and puzzle piece them together to form a rough 32″x43″ rectangle. You always want your quilt top to end up measuring slightly smaller than your batting. Trim where necessary. 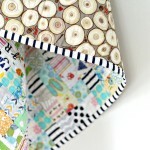 Sew pieces together with a 1/4″ seam allowance one at a time until you have a nice rectangular quilt top. Iron the seams open as you go. 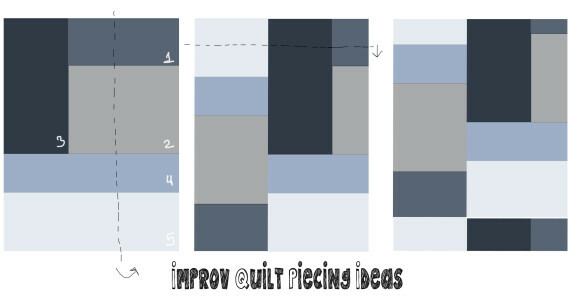 I’ve numbered the pieces in the first graphic below to help you see how I did mine. This iron – Rowenta Focus Steam – is awesome if you are in the market for a great one! Steam is key. 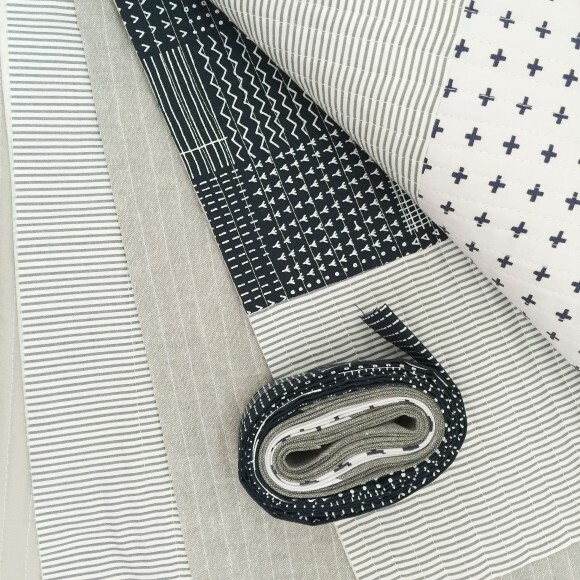 Once your pieces are all sewn and ironed as flat as possible, decide if you want to cut it apart and sew it back together to create a new or more intricate design. I hope it’s clear in the images how I did this. Cutting off a strip of the quilt, turning it 180• and sewing it onto the opposite side can completely change the look of the quilt! You can get as intricate with this as you like. 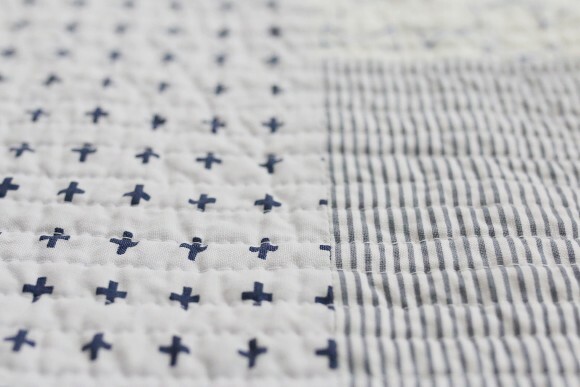 Just remember with each seam your quilt will shrink 1/4″. Lay out your backing. Piece this if you need to and try to get this rectangle to be slightly larger than both your batting and quilt top. It will make your life easier. 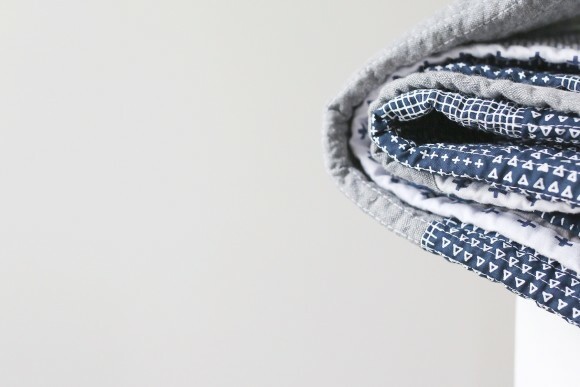 Use an extra large Self-Healing Rotary Mat and a Rotary Cutter (two more quilting ESSENTIALS) and trim your quilt top of you have lots of extra backing hanging out. 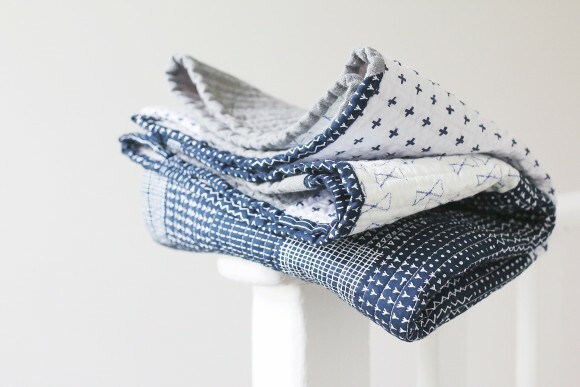 Get ready to quilt! Prepare a few bobbins of your chosen thread color. 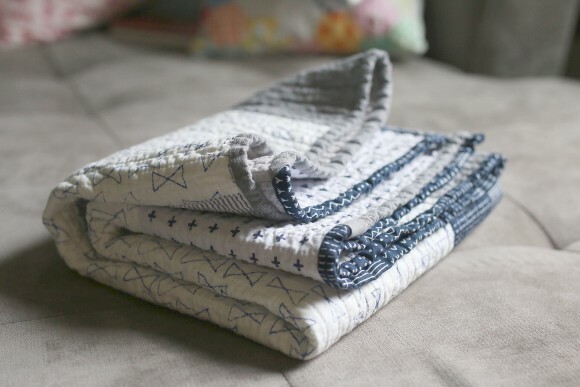 Roll up one side of your quilt neatly so it’s easier to get in and out of your machine. 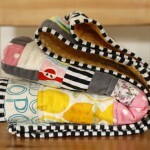 Select one side to start and start stitching straight lines! It’s that simple. 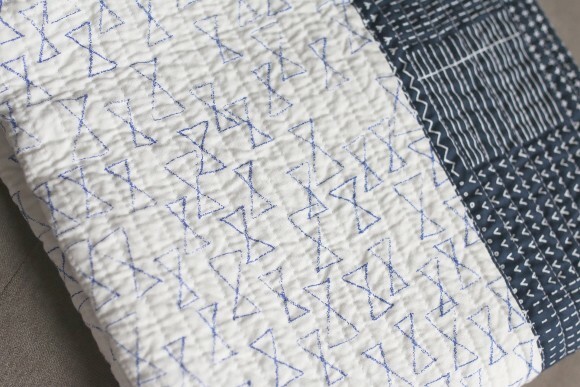 I used my presser foot as a guide for this quilt and love love love the effect of all the straight line quilting. 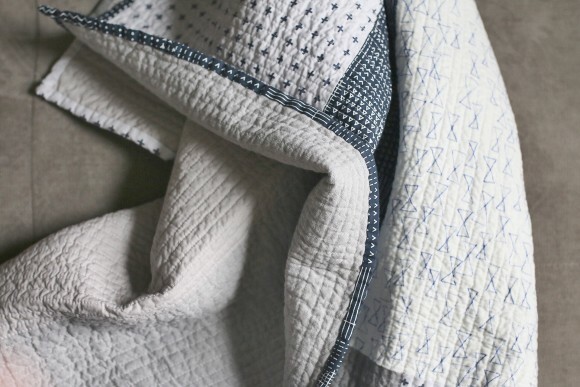 When you are finished quilting, hit Pinterest again for a full binding tutorial. Try this one. I cut 2.5″ strips of fabric NOT on the bias for my binding. Just personal preference. You can also buy pre made binding from shops like SewBias (love) on etsy. 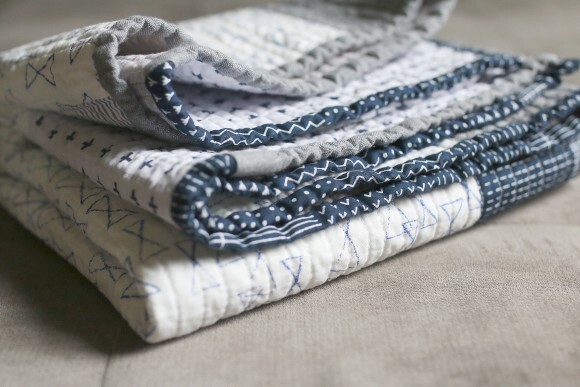 Finish the binding by hand OR by machine (fair warning- this takes PRACTICE). Throw that beauty in the wash! Then admire for weeks before gifting. Totally required. 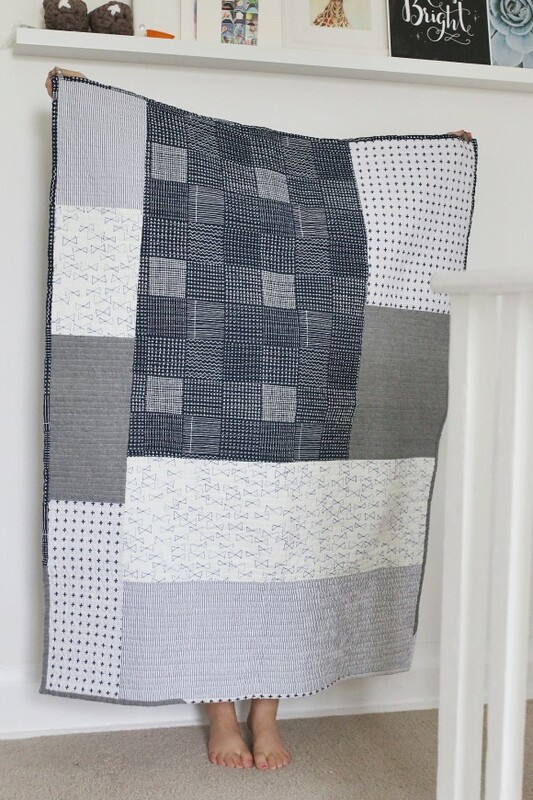 Easy Quilt, Great For Beginners! This is so amazing!! I’ve been wanting to get into quilting and just inherited a bunch of stuff from my grandma who was a quilter. Can’t wait to try this! Tomorrow Sleep – What do you want to be when you wake up?